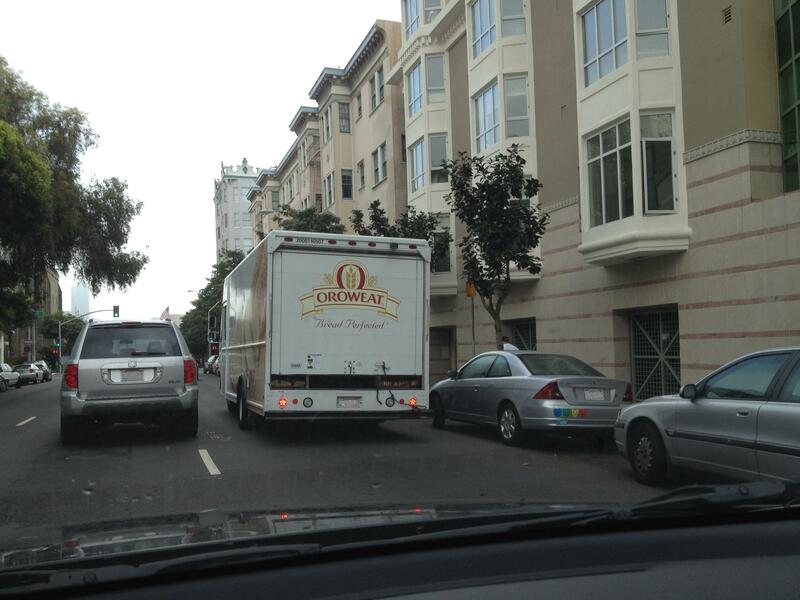 This is on a major east-west artery in San Francisco. 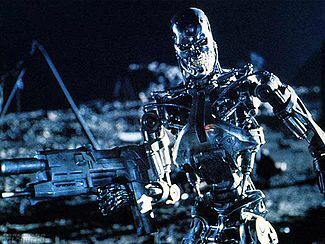 Skynet’s Strategy: Nuclear War or Contagion? What if the Terminator was wrong, and Skynet doesn’t plan to eliminate humans via a nuclear apocalypse, but through a global pandemic? Below is a photo of the electro-mechanical soap dispenser in the bathroom of my office building. Notice how it has dismantled itself, so soap is no longer dispensed. An entire floor of workers has stopped washing their hands, and it’s just a matter of time before someone gets sick. 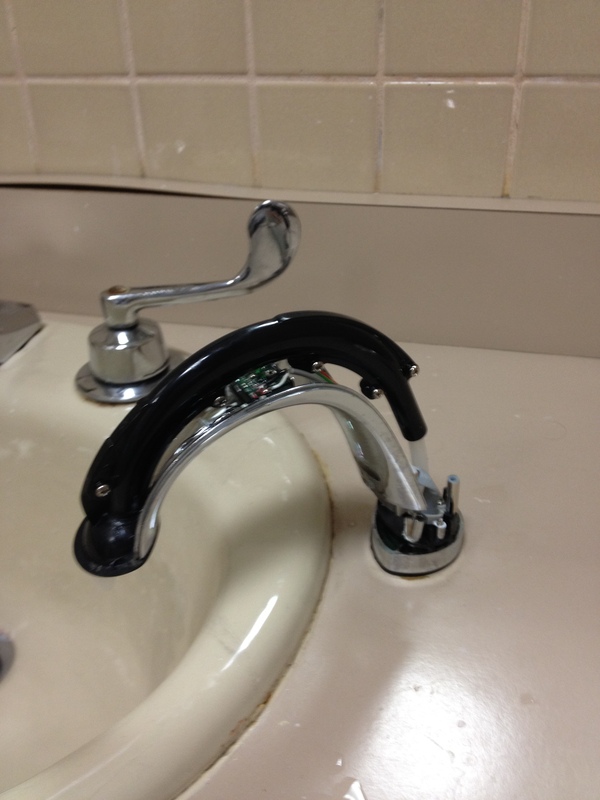 Was this faucet designed by Cyberdyne? 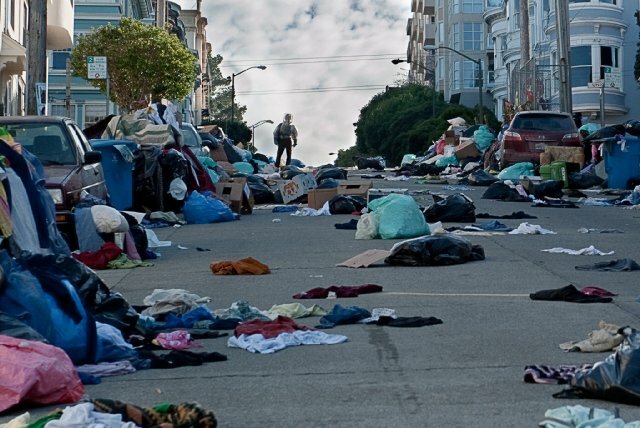 As Jude Law learned the hard way (see photo below) in Contagion, it just takes one sick person to start a massive epidemic, killing off vast quantities of humans. If (when?) Skynet becomes self-aware, how do we know that the smoking gun will be in the shape of a mushroom cloud? Maybe it will be in the shape of a sneeze or a cough, a high fever and some agonal spasms. Here is an interesting take from economist Dean Baker, pointing out that while US immigration policies let in lots of low-skilled workers, driving blue collar wages down, our policies make it very difficult for skilled workers (doctors, lawyers, economists) to enter the US and work, keeping white collar wages high. Coincidence? There is a growing trend among universities to devote resources to studying entrepreneurship. This trend is primarily focused in the business and engineering departments, but it is spreading inexorably across campus. It seems as if everyone wants to create a new class of entrepreneurs. This impulse is understandable; after all, if you are the university that graduates the founders of the next Google, there are big donations in your future. But this focus on entrepreneurship doesn’t come without costs. Universities generally don’t have limitless budgets, so if increased resources are flowing to entrepreneurship studies, that means resources aren’t flowing into other departments. 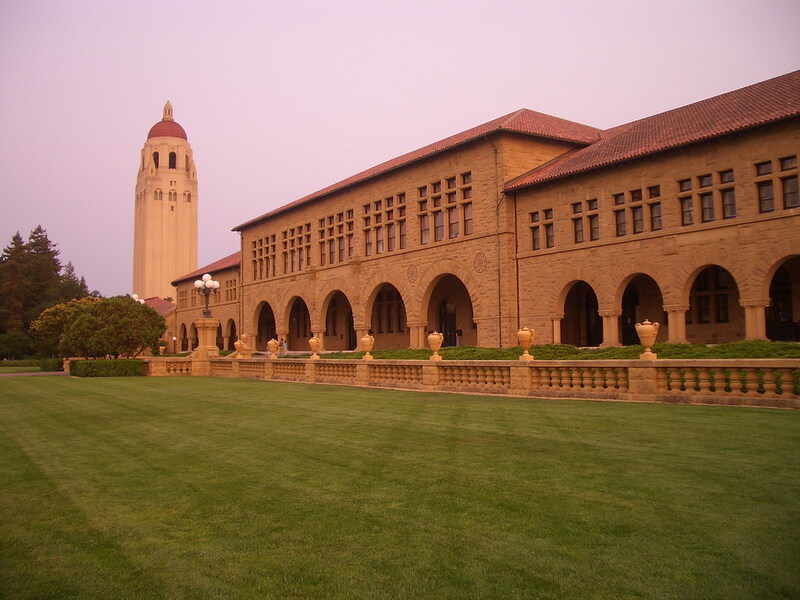 At my alma mater, Stanford University (see below), our alumni magazine seems to be constantly writing about new initiatives to train entrepreneurs, but it almost never talks about a new program in English or history. I think that universities’ movement toward entrepreneurship has gone too far. Not that entrepreneurship is a bad thing. If people want to start companies, that’s great. I’m happy that companies like Google exist. And Amgen, and Hewlett-Packard, and even General Electric, all of which were started by entrepreneurs. But notice that none of those companies were started by people who had studied entrepreneurship. In fact, they were all started before this trend in teaching entrepreneurship had even begun. It’s not as if this country had a serious lack of entrepreneurs before universities started training them. Wisdom, and knowledge, as well as virtue, diffused generally among the body of the people, being necessary for the preservation of their rights and liberties; and as these depend on spreading the opportunities and advantages of education in the various parts of the country. If people want to start companies, they will certainly do so. They always have. So let’s not waste their four years of college making them “better entrepreneurs,” as if we even know what that is. Let’s just make them smart, well-educated people, and the entrepreneurship will inevitably follow. Ozone Pollution More Dangerous than Previously Thought? We’ve all heard about the ozone layer, but I reckon that most people know very little about ozone. I knew pretty much nothing about it until I read an article published by the National Bureau of Economic Research which tied ozone levels to reduced worker productivity. It turns out that ozone is a molecule consisting of three oxygen atoms. It also turns out that ozone is known to cause respiratory problems. It is chock full of free radicals, and ozone doesn’t react well with cells in your lungs. Yuck. Health organizations (EPA, WHO, etc.) set exposure standards levels that should prevent long term effects. Of course, those standards are based on the science at the time of promulgation, and science can change, as is true for all health regulations. However, as the NBER article shows, sometimes economics can reveal patterns that medicine doesn’t. Economists from UCSD and Columbia studied ozone levels in California’s central valley (a huge farming area) and compared those levels to farmworker productivity. It turns out that increased ozone levels are correlated to decreased productivity. Moreover, this productivity impact happens at levels well below the federal safety standards. So maybe the standards are wrong, and ozone is more toxic than people think. I admit that this study is a little on the Freakonomics side of things: it runs a regression, sees a correlation and assumes causality. I have been critical of Freakonomics in the past (although not on this blog), because I don’t think you can just regress a boatload of data and then decide that you know why result A happened. There could be all kinds of other factors at play in this data; for example, maybe ozone levels are high when the weather is really hot, and farmworker productivity was down because of the heat, not because of the ozone at all. Hopefully the economists doing the study adjusted for that sort of thing, since zeroing out the noise of exogenous variable is a standard procedure in studies like this, but the article doesn’t say. Any way you look at it, this certainly is an interesting correlation that could bear further study. As an aside, here is a critique of Freakonomics from the American Scientist; they are more qualified than I am.